Here is a short video of the Saturday evening procession. 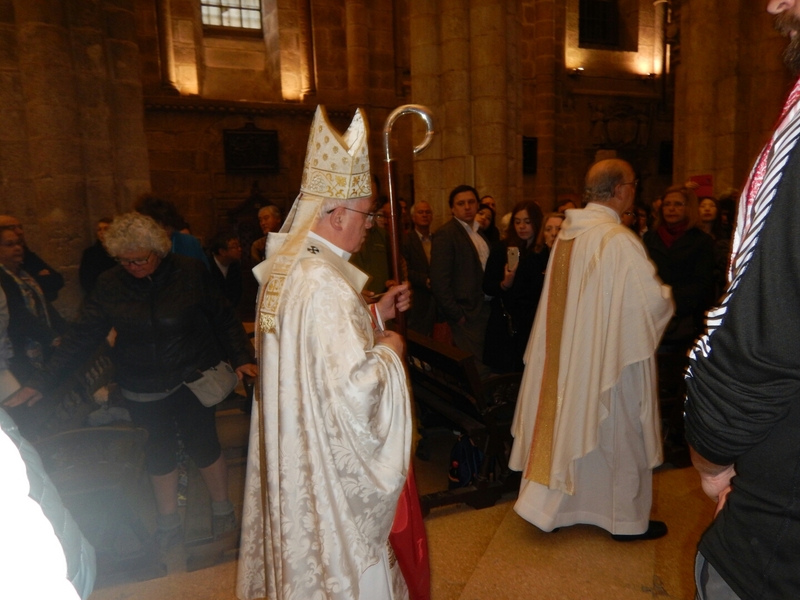 Easter Sunday was celebrated in the Cathedral de Santiago by the Cardinal for Galicia. There was much pomp and circumstance with a procession preceeding the mass. I must say it was a very beautiful mass, the cathedral was packed with both local people as well as many, many pilgrims. In fact, Santiago was the most crowded I have ever seen it. Last year I was here for St. James Day and the crowds were not as thick as they were this Easter. One could barely move through the streets of the old town there were so many people about. 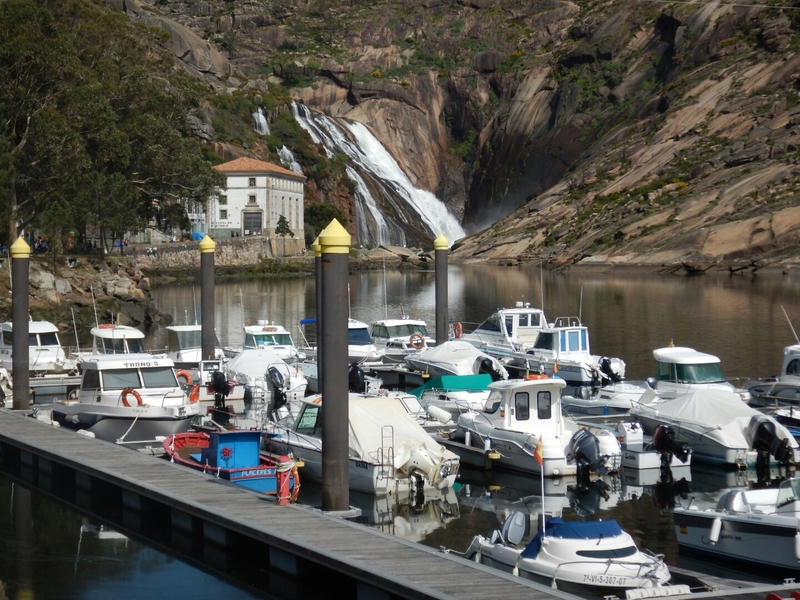 After the mass, our driver met us at the hotel and took us on a scenic drive to Finisterre. We stopped at the very old bridge pilgrim’s walk across on their way to Finisterre. It was very beautiful and the day was perfect. Our next stop was a beautiful waterfall in Dumbria. Roberto was willing to lead us on the path to the waterfall, but we declined as we had enough hiking on the Camino. 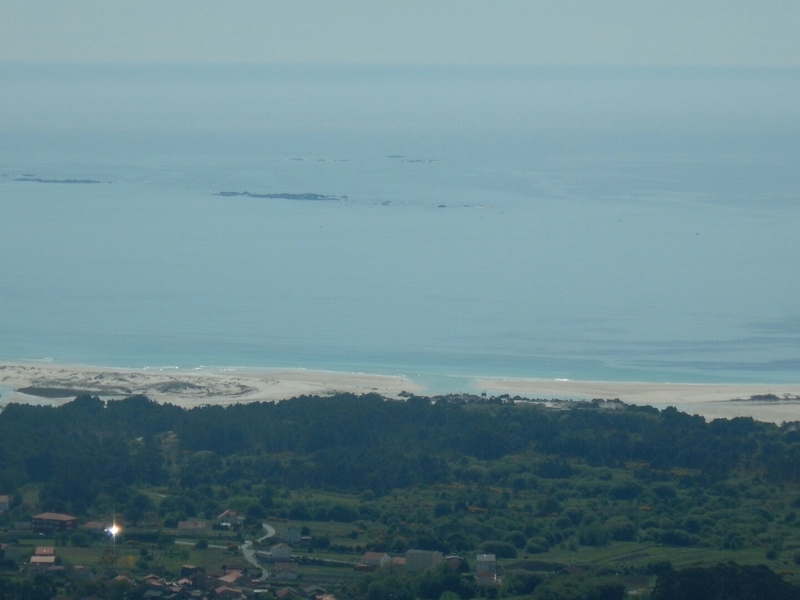 Our third stop was high atop a hillside overlooking one of the most popular beaches in Galicia, unfortunately I cannot remember the name of the beach. 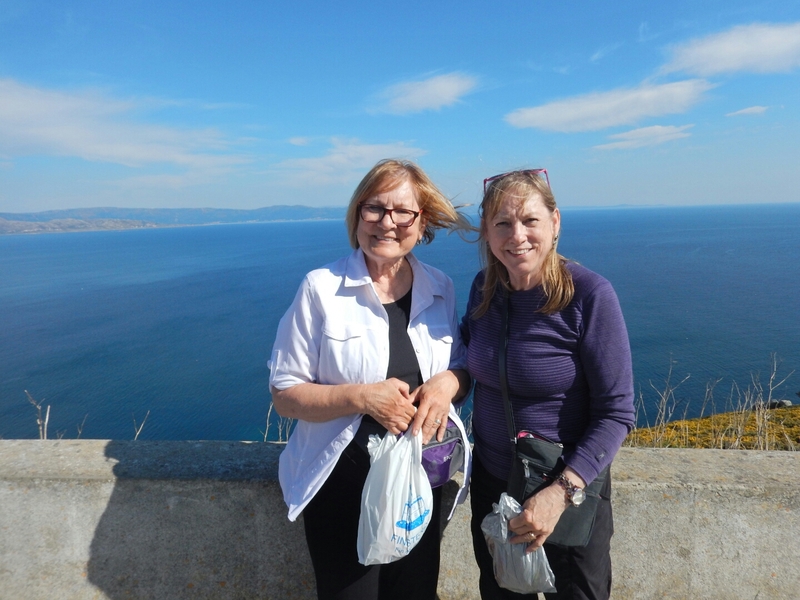 We arrived at Finisterre and Roberto drove us up the hill to the lighthouse. We walked to the top, I took several pictures of Deb by the bronze shoe with her camera. We walked around for a while up near the lighthouse and then met back up with Roberto for the drive downhill. 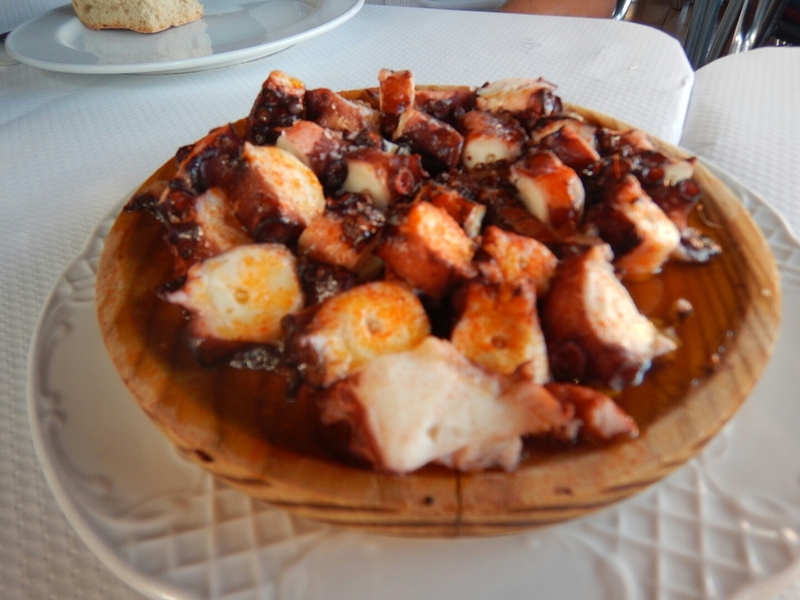 Our dinner was wonderful – most probably the last pulpo and delicious fresh Galician fish until next time. After a good night’s sleep both Linda and Deb leave Santiago, I will fly to Madrid later in the day and return home tomorrow. 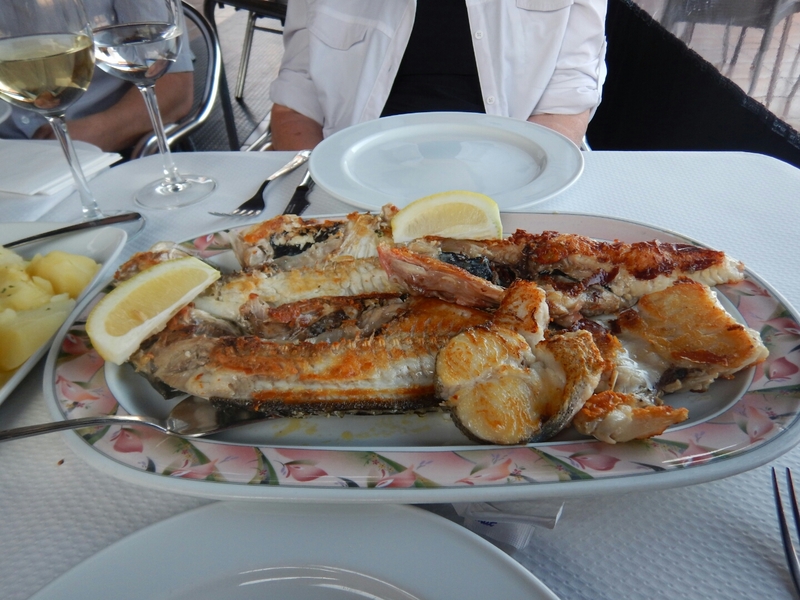 For those of you who may ask if I am finished with the Camino, the answer is – No, not yet, I will return to walk again. 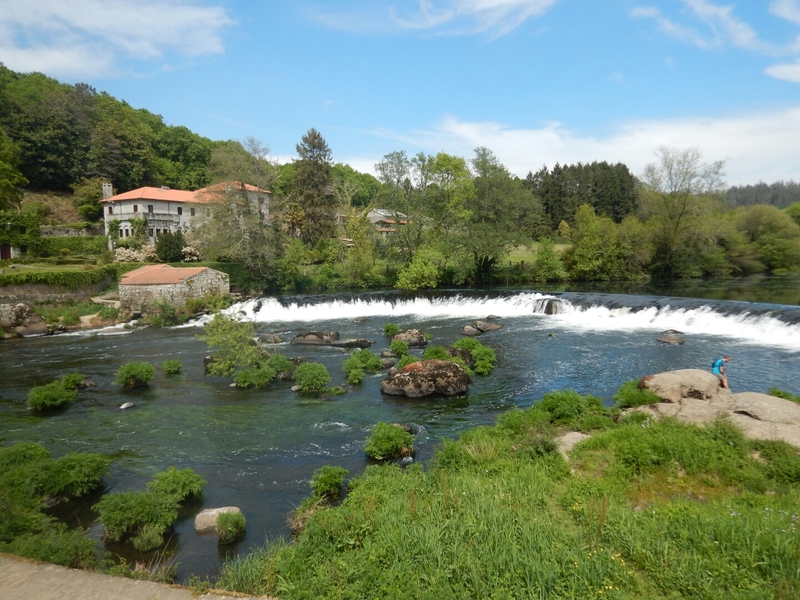 The Camino holds a special spiritual allure for me, it is challenging especially as I grow older with each year, but I find it to be one of my special places – a place where I can be with myself and still be surrounded by others – a place to contemplate life and my many blessings. Walking is cleansing and reflective for me. And to be able to walk through Portugal and Spain is such a joy. The people are lovely and the food is sublime. So yes, I will return to walk the Camino again, maybe next time one or two of you may decide to join me.